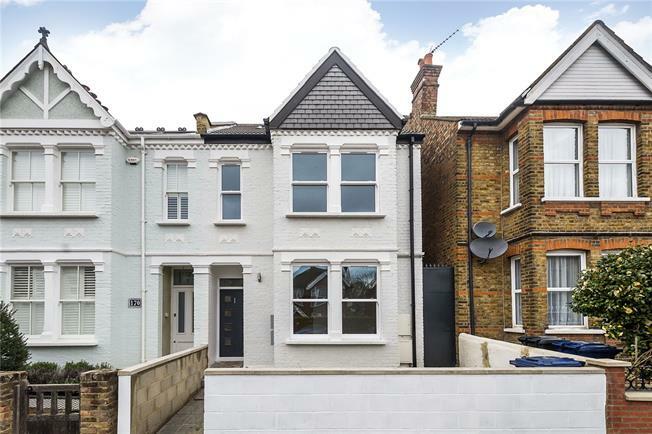 A spacious, newly converted garden flat on a favoured road in the South of Ealing. This impressive apartment is a generous 780ft in size. You have two double bedrooms, the master of which is 14ft in length, ample storage off the hallway, family size bathroom and then a simply fantastic 20ft open plan reception, dining and kitchen across the back. The kitchen boasts fully fitted appliances and there are bi-folding doors directly onto the private rear garden. Front: Secure main entrance into a communal hallway with separate doors to each apartment. Rear: Private 39ft garden accessed via the bi-folding doors of the reception room and a side secure pedestrian passage from the front. Tiered with a patio area then a lawn area. Outside power socket and tap.